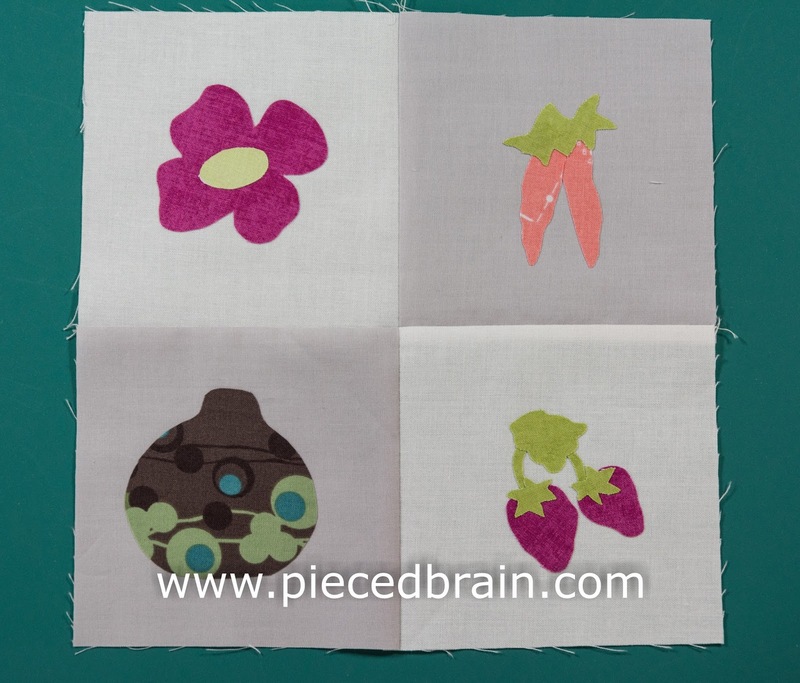 Let's go to the Street Market, our Block #19 for the City Girl Sew Along. I have wonderful memories about street markets in Sao Paulo, Brazil, where I grew up, and of markets here in the US. In Brazil the weekly markets sell fresh fruits, vegetables, meats and fish, spices... The ones I've been to in the US also sell flowers, pottery, homemade jams and jellies, and handmade goods. So, this block celebrates the markets I've been to in US cities. 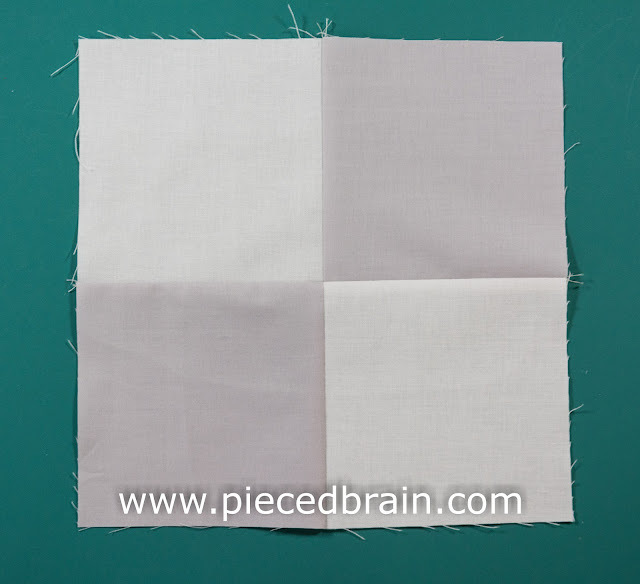 Stitch the white squares to each of the gray squares leaving a 1/4" seam allowance. 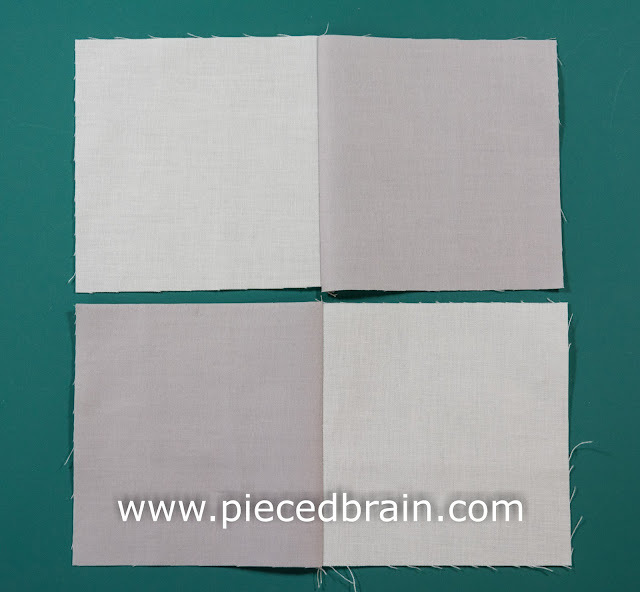 Press seams towards the dark fabric. Stitch the two rows together to form a four patch block which measures 8-1/2" x 8-1/2". Press. 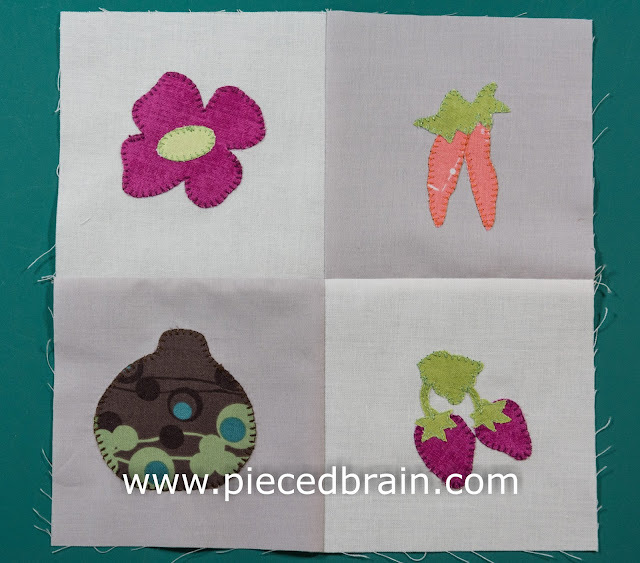 Machine applique using blanket stitch. 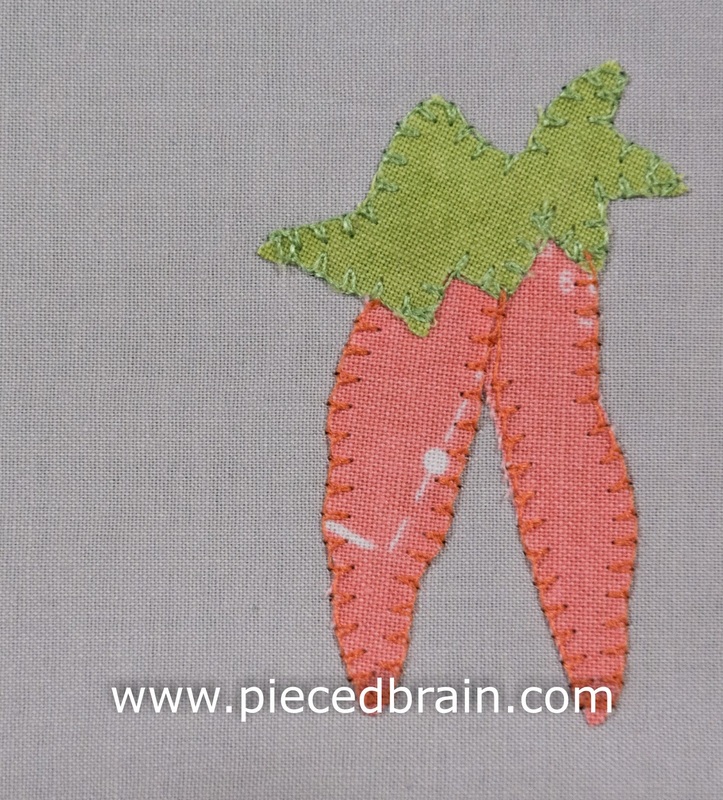 In areas where the applique is too tiny (such as the stems on the berries) use the straight stitch for the applique. There you have it! 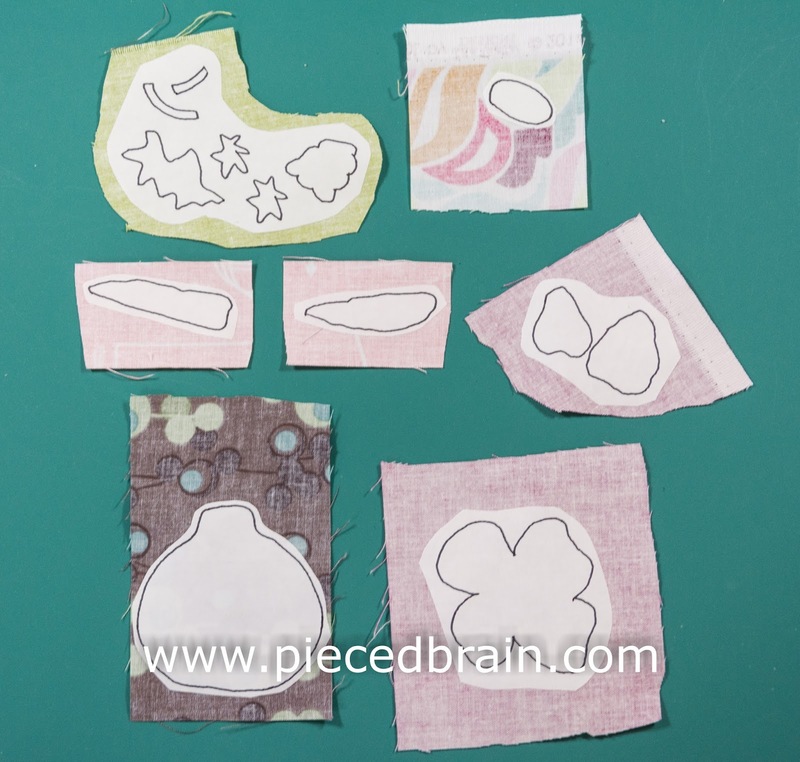 Our next block will also use applique (some scenes lend themselves easily to this method). In the meantime, how are your blocks turning out? I am so tempted to stop designing and start stitching them together! 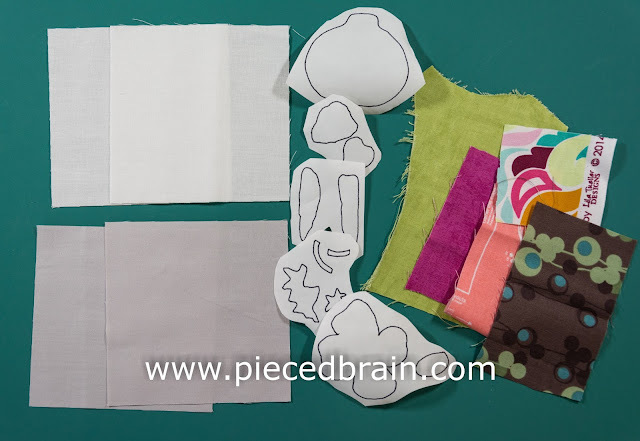 However, I will make a few more before it is time to begin thinking about quilt design. Cute block, Denise! I love applique (and patchwork) and am very much enjoying all your block designs for City Girl. 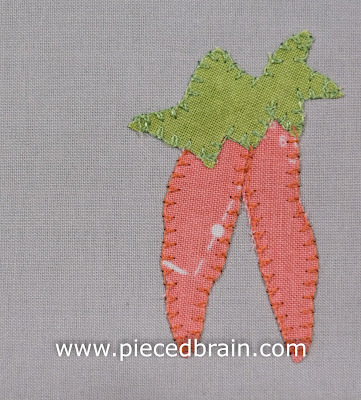 I have not been able to download the template for the vegetable appliques today, but maybe it's my end of the system. I'll keep trying. Thanks for sharing your designs!